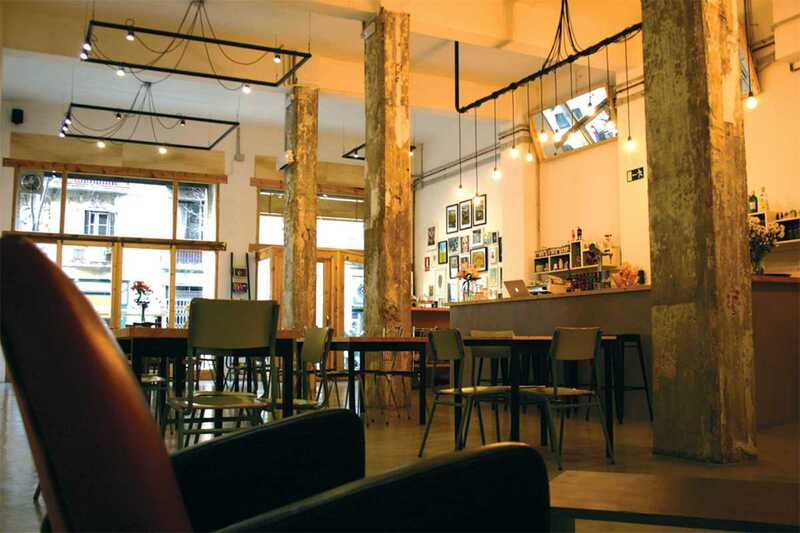 Sant Antoni has a clean, well-lighted place in the form of Bacanal, a spacious café, perfect for whiling away the hours. The place oozes good taste, with vintage décor, wooden tables and art lining the walls. Start the day with eggs any way you like with extras like spinach, halloumi or sautéed mushrooms, or the excellent Maldon salt bagel with bacon, peanut butter & jam. For lunch try a Pastrami sandwich, burger (there’s a veggie quinoa burger too) or the soup of the day. They also do salads, snacks and tapas – from classic patatas bravas to creations like cashew paté on naan – wash it all down with a craft beer or Estrella Galicia on draft. There’s good coffee, fresh juices, smoothies, vermouth and cocktails. Bacanal also organizes frequent events.